Q: Why did it take the Buddha forever to vacuum his sofa? A: Because he had no attachments. Q: Why did the Buddhist coroner get fired? A: Because he'd always record the cause of death as "birth". Novocain during root canal work? A: He wanted to transcend dental medication! A Buddhist and a Hindu go skydiving. 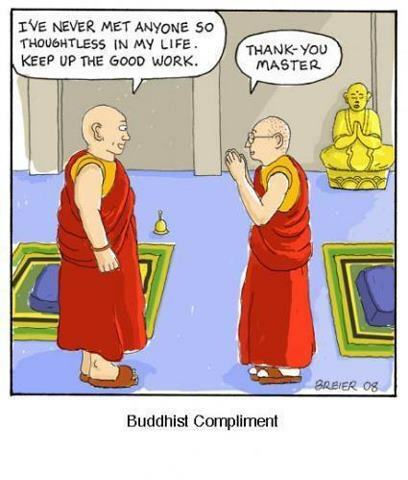 Buddha was known to have a good sense of humor.